There is nothing more satisfying than the finishing touch of deep, rich black tires. This luxurious and distinctive technology provides an exceptional, intense black luster, to deliver an incredibly powerful statement. Give your tires a noteworthy appearance that will make heads turn for months – lasting 5X longer than silicone based tire shines! Advanced black-tinted acrylic technology covers the faded appearance of old and browning tires, so they always look their best. 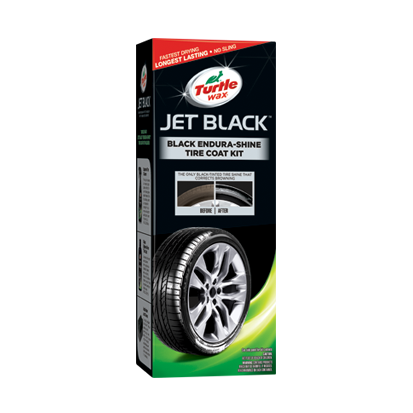 Turtle Wax® Jet Black™ Endura-Shine Tire Coat provides a protective barrier from dirt, requiring little maintenance to clean and restore that dramatic lustrous shine. Clean tires first with Turtle Wax® Superior Tire Cleaner, provided in the kit. Use gloves (included in kit) while handling Black Endura-Shine Tire Coat. Shake well. Pour a small amount of product onto the foam applicator by depressing gently into the foam treads. Product will pour quickly so use caution. 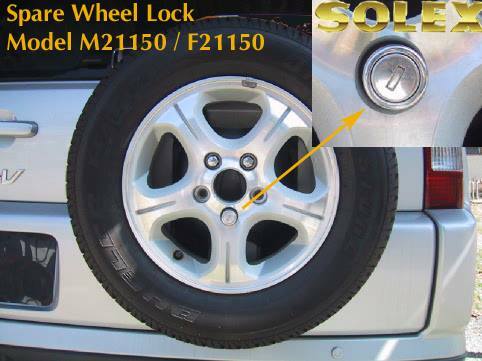 For first application, apply a light coating using a continuous motion around the tire. Let dry for 10 minutes, and then apply a second coat. To achieve a higher shine, additional coats may be layered.